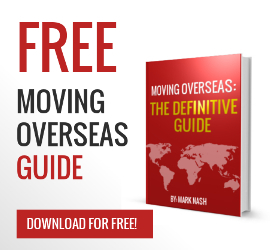 If you are a big kahuna in a large corporation then I am sure your relocation to another country will all be taken care of, but for the rest of us who have to figure it out, here is some helpful information for you to decide what international moving service might be best for your international move. Corporate Relocation: Everything should be taken care of by your HR department. You shouldn’t really have to do anything but decide what you want to take with you. Help should be given for you to find a house, school as well as how to set up a bank account at the destination. Costs for this are probably in the $20,000 range depending on the volume and destination overseas. Full service container movers: One step down from the full corporate relocation would be for you to schedule a full service international mover to come in and pack everything up into boxes and wrap up all your furniture. Everything will be loaded into a shipping container at your residence and shipped to your overseas location where the local mover w ill unload everything out of the container, take it into your house set up and unpack everything. For those having to pay for it themselves this might still be expensive and could easily cost $10,000 – $15,000 depending where you are moving to and how much stuff you have. Full service part load overseas mover: For this international service the mover will quote you for coming to your house, packing up all your personal items into boxes and pack up a few pieces of furniture and take it back to their warehouse to consolidate with other shipments going to that destination. The trouble with this can be all your boxes and furniture are loose loaded into a container mixed with other peoples goods and shipped over to a warehouse overseas for it all to be unloaded into the warehouse and then re loaded into a truck for delivery to your new overseas residence. The problem with this is there is a lot of handling of your items on and off trucks and warehouses which can risk damage and loss by either greedy eyes or just a package getting loaded into the wrong shipping container or truck. The costs for this can be around $3000- $10,000 depending on the volume and destination. S elf pack container option: Companies like UPakWeShip can provide you with a shipping container for you to pack and load. They do all the shipping, documentation and trucking. You just need to pack and load it and unload it at the destination. Cost for this is normally between $4,000-$6,000 The nice thing is its an all inclusive lump sum price whatever you can for in the container. Great when you have a relocation budget! Now I know it might not be everyone’s cup of tea but if I can take everything in a container for about half the price of a full service mover its well worth the effort I have to put in packing and loading. For a part load shipping service, having a U Crate 100 where all my items stay together protected for a lump sum price rather than my boxes being loaded loose on and off containers and trucks is a no brainer! A safer international shipping service at half the cost!